If your christmas list consists of clothes, boots and motorcycles then this is the jumper for you. 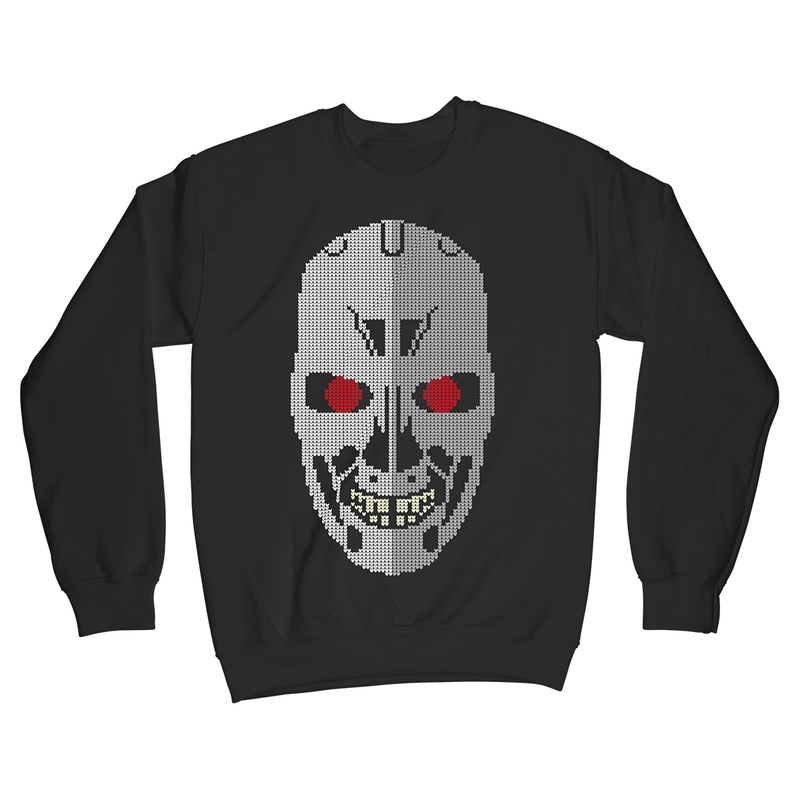 A knitted style Terminator Endoskeleton skull print is sure to bring joy to your festive celebrations this year, and every year until Judgement Day. This high quality design inspired by The Terminator is printed in the highest quality inks directly onto premium quality cotton sweatshirts. With proper care this garment will last until the Apocalypse.